Google has recently announced that four new phones would soon support its Daydream virtual reality program and though this seems like a relatively small number considering the number of good smartphones out there, we’ve now got a better idea as to why. In an interview with VRHeads Amit Singh, VP of Business and Operations for Google VR, said there are a number of things a smartphone has to combine before it can be considered Daydream-ready. This means it’s not enough for a phone to have some high-specification components and not have others. To be Daydream ready a phone has to have the right combination of specifications; it could have the right processor but if it doesn’t have the right display, it’s not going to work. This explains why Huawei’s Mate 9 won’t be Daydream compatible, but the Mate 9 Pro and Porsche Mate 9 will be – though the Mate 9 is a high-end smartphone, it has a Full HD display while the Pro and Porsche models have more suitable Quad HD displays. As a result, though Google Daydream View is a relatively low-cost VR headset, it could be a long time before low-cost smartphones are able to use the Daydream technology. 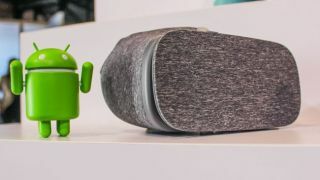 Fortunately, Singh also said that Google is actively working with smartphone manufacturers to see if specification requirements can be tuned and changed in a way that will allow the list of Daydream-supported devices grow at a faster rate.